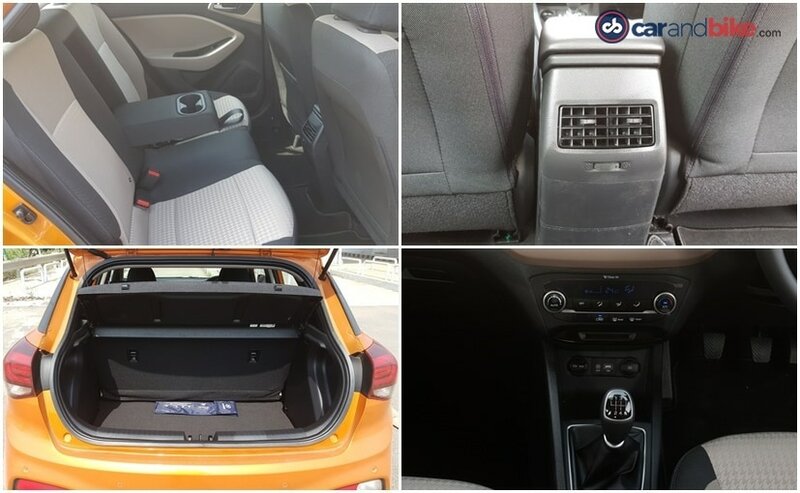 The current 2nd generation Hyundai i20 was launched in 2014 and has been a runaway success thanks to its sharp styling, roomy cabin, frugal engines and a long list of features. Since 2014, Hyundai has sold over 3 lakh units of the i20 globally. Talk about India and Hyundai has sold over 10,000 units every month of 2017 barring December. It is one of the best-selling models from Hyundai in India – but then I am sure you knew that already. It was about time for the i20 to get a mid-life facelift. And Hyundai launched the i20 facelift at the recently concluded Auto Expo. It was a global debut mind you – just like how this generation also came first to India in 2014. Honestly I had expected the facelift to be typically Hyundai-like. What I mean by that is – a major external styling change, with a lot of focus on making the car seem more premium. But Hyundai has played it safe, perhaps given how popular the car already is, and how well accepted its looks are. So while you do get several styling changes, they are largely subtle. The car now gets the customary ‘cascade’ design front grille that stretches out at the corners. While I did think it was forced on the Grand i10, Xcent and Verna, it looks rather nice on the i20, especially how it is finished in black. The fogs and headlamps are also new, and yes get the daytime running LEDs. The rear is where the biggest change has happened. The license plate has moved from the bumper up to the tailgate, which is completely redesigned. The rear lights also have a new shape and lighting pattern. 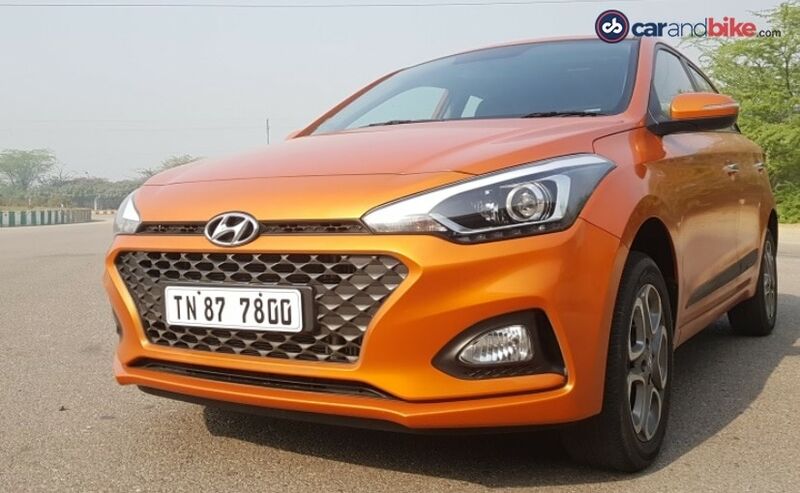 Hyundai had already begun offering the two-tone option with a black roof earlier, and that continues, though you do get a new orange colour. The dual tone black roof is on offer with the deep red, orange and white paint options only. You get new 16-inch wheels, which are available only on the top spec Asta and Asta Option, variant. And the must-have chrome door handles which add that premium touch on the car – or so am told! There are some key changes on the inside too of course but lets get to that in a bit. The car that I’m driving today is the top-spec diesel variant of the i20 facelift with the manual gearbox. Hyundai claims to have given the car’s performance a boost by reworking both powertrains. And interestingly enough the numbers remain exactly the same! (see output figures table below). 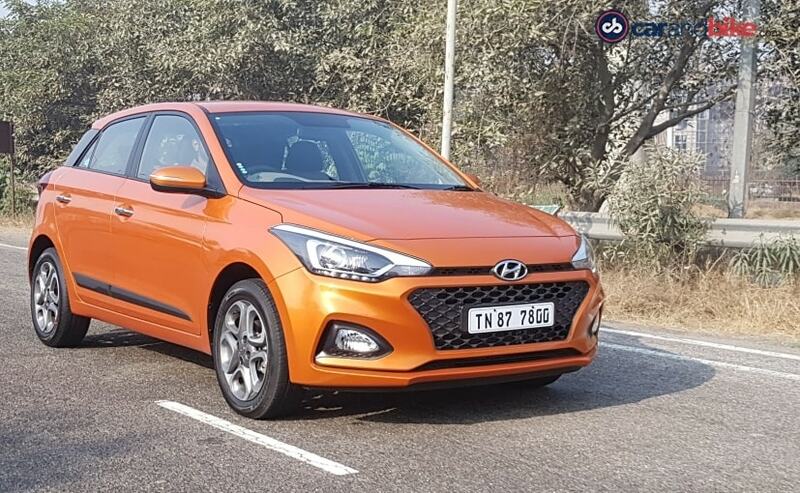 There is no perceptible difference in the car’s drive feel to be honest, even though Hyundai says the performance is meant to be punchier. Air curtains have been added to the car to enhance fuel efficiency – which the company says is up by 9 per cent. The car retains kits good ride quality and handling. I liked the way the manual gearbox felt earlier, and that’s true now too. The steering has been tightened up a bit, and I find it a bit more precise than before. Though it is not as nice as the new Verna’s. Dual airbags have been standard of course, and the top end gets the segment best 6 airbags. ISOFIX child seat restraints and ABS also are a good inclusion. 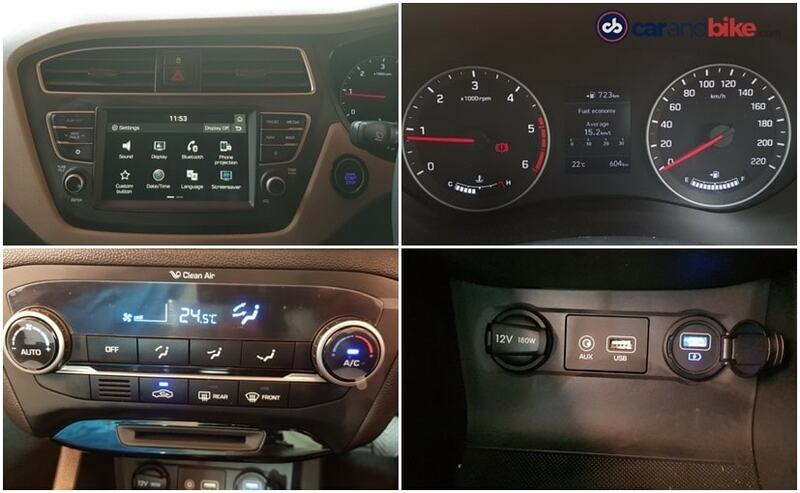 In fact Hyundai cars are always known for having a comprehensive list of features and so it continues on the inside. There’s a new touchscreen infotainment system; now a 7-inch unit that responds better to touch inputs than the previous screen. Like earlier, there is smartphone integration in the form of MirrorLink, Apple CarPlay and Android Auto. Apart from that there are subtle tweaks to the upholstery as well. At the rear there is now a drop-down armrest – a nice touch. Too bad Hyundai has not brought us a modern automatic – even the previous 4-Speed auto has not been introduced as yet on the facelifted car. 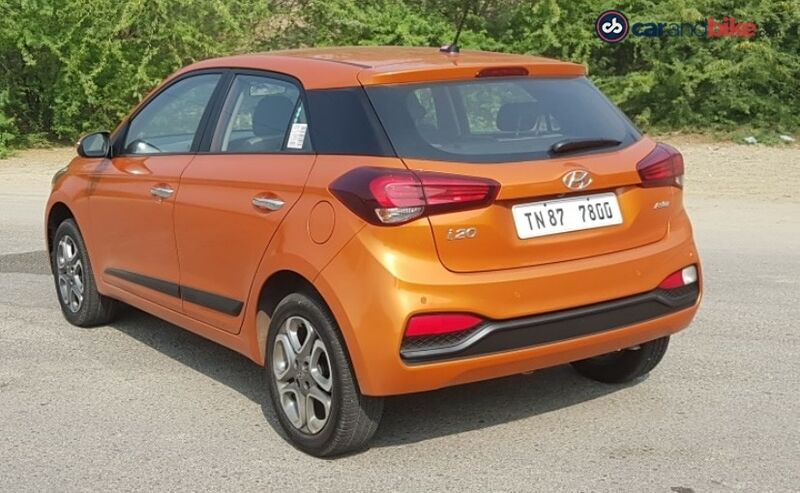 It is likely that the i20 would go automatic (expectedly on the petrol only) around summer this year. 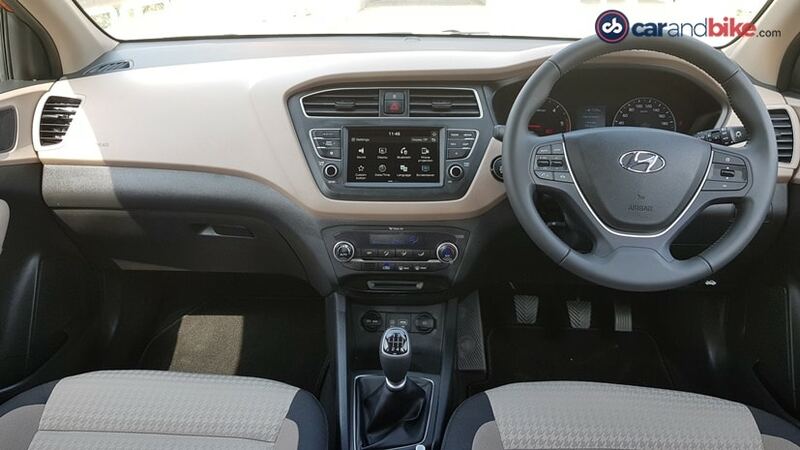 Barring the need for a sporty, fun automatic, the i20 certainly retains its benchmark status in this segment. Prices remain competitive too, even with the addition of the changes and new features.